A Supreme Court bench led by Justice G S Singhvi ruled that vehicles fitted with red beacons will be allowed only for constitutional authorities and limited classes of high functionary, thus restricting the unrestrained use of red beacons as a symbol of VIP culture. The apex court bench while delivering its judgment asked the government to make appropriate amendments in the Motor Vehicles Act to make the fine amounts a deterrent. It further said that definite lists of officers under the category "high functionary" will have to be provided by the appropriate governments, stating who can have red beacons to enable their functioning and “any and every officer cannot be given a red beacon”. The Supreme Court has asked all authorities to enforce these directions within a month. Besides banning the use of red beacon light with flashers on all vehicles except those used by high dignitaries holding constitutional post, the apex court has also banned pressure horns, multiple sound emitting horns and musical horns in vehicles. It said only during emergency situations, will blue lights be used which can be fitted on ambulances, police and army vehicles, and fire extinguisher vehicles among others. 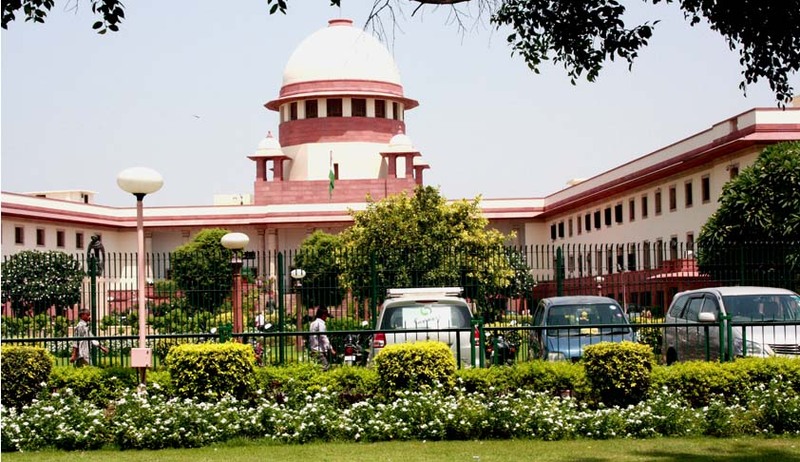 On an earlier occasion the Supreme Court while hearing a special leave petition (SLP) which questioned the continuation of Z- category security to an MLA from Uttar Pradesh without review of threat perception, had decided to expand the scope of the matter in public interest and put under its scanner the criteria for allowing beacon lights. Directions were given by the court to all states, to file affidavits giving details on the proportion of policemen involved in providing security to VIPs, the criteria for providing security and the amount of money spent on providing security to VIPs, among others. It said confidence among people will be instilled if red lights from the vehicles of 'so called' VIPs are removed. In today’s order Supreme Court said there has been abysmal failure on the part of the concerned authorities and agencies of various State Governments and the Administration of the Union Territories to check misuse of the vehicles with red lights on their top. So much so that a large number of persons are using red lights on their vehicles for committing crimes in different parts of the country and they do so with impunity because the police officials are mostly scared of checking vehicles with red lights, what to say of imposing fine or penalty. The term “high dignitaries” used in proviso (iii) to Rule 108(1) of the 1989 Rules takes within its fold the holders of various posts, positions and offices specified in the Constitution. The motor vehicles carrying “high dignitaries” specified by the Central Government and their counterparts specified by the State Government may be fitted with red lights but the red lights with or without flasher can be used only while the specified high dignitary is on duty and not otherwise. The State Governments and Administration of Union Territories cannot enlarge the scope of the term “high dignitaries” beyond what is prescribed in clauses ‘c’ and ‘d’ of Notifications dated 11.1.2002 and 28.7.2005 issued by the Central Government. Therefore, they shall amend the relevant rules and notifications to bring them in tune with the 1989 Rules and notifications dated 11.1.2002 and 28.7.2002 issued by the Central Government. This exercise must be completed within a period of three months. No motor vehicles except those specified in Rule 119(3) of the 1989 Rules or similar provisions contained in the rules framed by the State Governments or the Administration of Union Territories shall be fitted with multi-toned horns giving a succession of different notes or with any other sound producing device giving an unduly harsh, shrill, loud or alarming noise. The police officers and other authorities entrusted with the task of enforcing the provisions of the 1988 Act and the Rules framed thereunder must discharge their duties without any fear or favour and should impose appropriate penalty on those who violate the prohibition contained in Rule 108(1) and Rule 119 and similar rules framed by the State Governments and the Administration of Union Territories. The owners/users of the vehicles fitted with multi- toned horns other than those allowed to use such horns under Rule 119(3) of the 1989 Rules or corresponding rules framed by the State Governments and the Administration of the Union Territories shall, within a period of one month from today, remove the multi toned horns. The officers authorised to enforce the provisions of the 1988 Act and the rules framed thereunder by the Central Government, the State Governments and the Administration of Union Territories shall also ensure that multi-toned horns are removed from all the vehicles except those specified in rule 119(3) of the 1989 Rules or corresponding rules framed by the State Governments and the Administration of Union Territories. “We hope and trust that the Legislature will make appropriate amendment and make provision for imposition of adequate penalty which may operate as deterrent against misuse of the provisions of the 1989 Act and the 1989 Rules generally and the provisions of Rules 108 and 119 in particular. The State Governments and the Administration of the Union Territories shall either amend the existing rules or frame appropriate rules for imposing deterrent penalty on the violators of the rules containing prohibition against the use of red lights and multi-toned horns or similar devices”. The Court concluded.